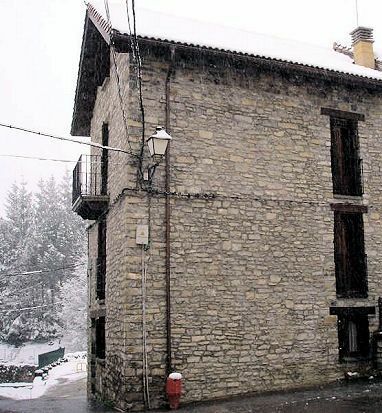 Beautiful stone house completely renovated, with a capacity of 2 to 12 people. Located in Castiello de Jaca, small town with shop services, bars and restaurants. At only 5 km. Jaca, the main city of the Pyrenees, leisure center, tapas and shopping. It is 20 km from the ski resorts of Astún and Candanchú, 25 km from the sky ski station of Somport Francia, 40 minutes from Formigal and Panticosa. Alternatives to enjoy nature, since it is at the foot of the National Valley of La Garcipollera. Parking area next to the house.